When Wormtown Brewing Company in Worcester announced that they were expanding capacity I was excited for a couple of reasons. One was increased production of Be Hoppy, their stellar IPA that tended to sell out very quickly. Another was the opportunity to try more of their offerings. 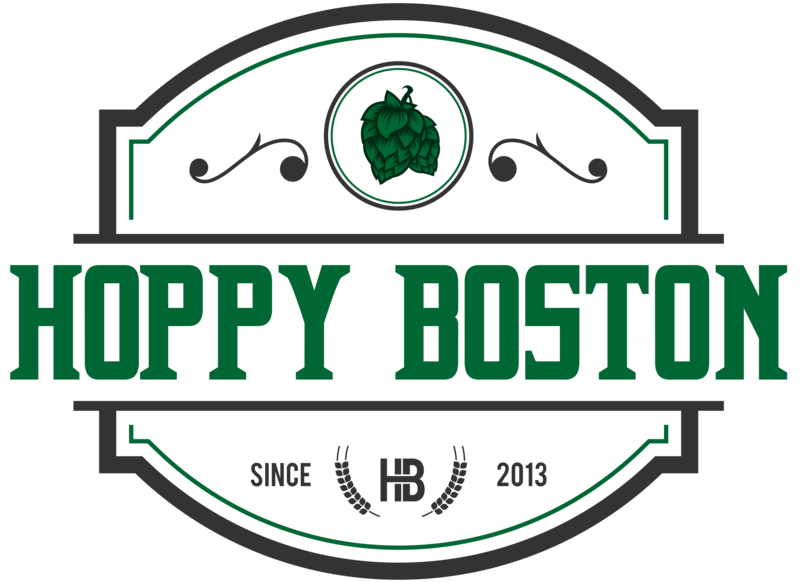 While Be Hoppy has become a staple in the Boston area (when you can find it), the rest of Wormtown’s beers are only available on occasion (at least in the shops I frequent). I realize that Worcester isn’t too far away and that I could try them all from the source, but fatherhood has cut back on my brewery visits and it is so much easier to grab a variety of beers at my local bottle shop. 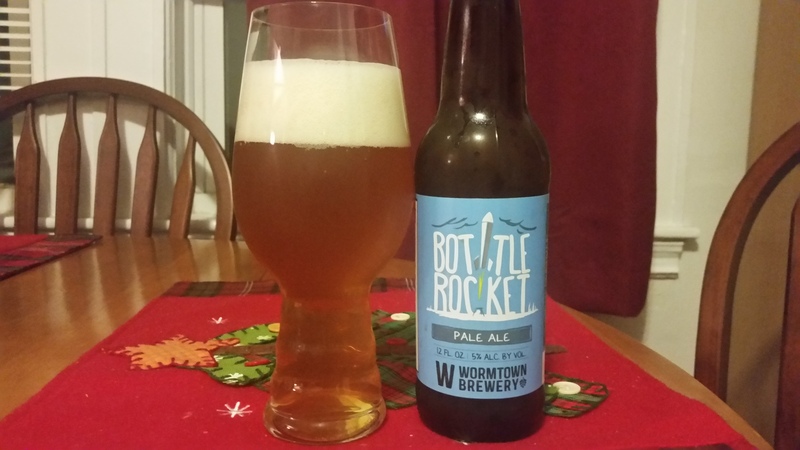 One Wormtown staple that I recently sampled was Bottle Rocket, their flagship American pale ale. Bottle Rocket was named in honor of Dr. Robert Goddard, a local scientist who invented the liquid fueled rocket. It is brewed with locally sourced rye from Valley Malts and El Dorado, Calypso and Mosaic hops. Wormtown Bottle Rocket is available year round on draft and in 12 oz. bottles. Wormtown Bottle Rocket pours a clear yellow-orange with a monstrous cream colored head. The scent is a solid hit of citrus and tropical fruit from the late hop additions. The flavor is very hop forward, notes of grapefruit, lemon, tangerine and grass along with a crisp bitterness. This is balanced by noticeable malt flavor, white bread, crackers and just a hint of spicy rye. The beer is light bodied and very easy to drink at 5.5% ABV. The finish is crisp and dry with a little lingering hop and rye flavor. Bottle Rocket is a very tasty American Pale Ale, goes down easy but still has a ton of flavor and some complexity. I am glad to see more Wormtown beers in the Boston area, and I look forward to making the trip to Worcester soon! Hoppy Boston score: 4.5/5.